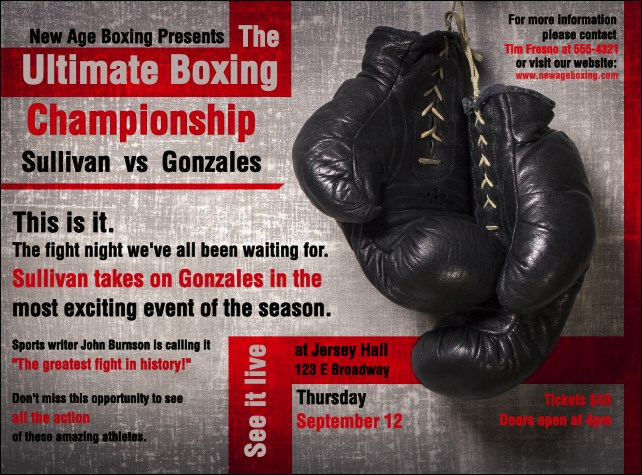 Hook 'em with a powerful message when you hand out the Boxing Gloves Flyer to promote the big event. The rich leather of the gloves contrasts with the deep red coloring and light grey background, creating a strong statement. 26 lines give you plenty of space for all of your event information. If you're doing the promotional footwork, TicketRiver.com.au has the right template for you!